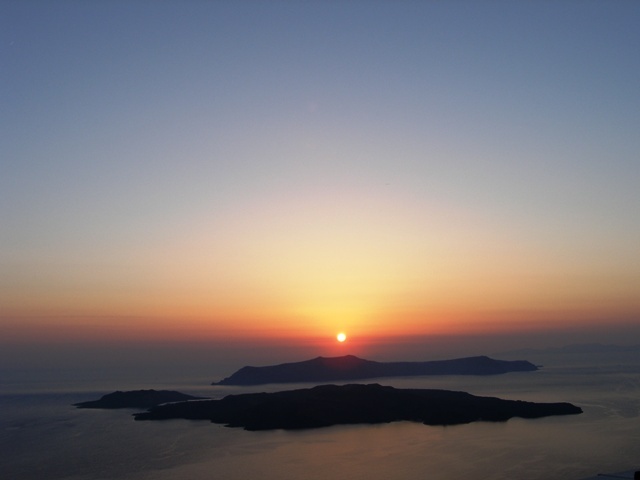 KeyTours: Key Easter customs to experience in Greece! Key Easter customs to experience in Greece! Easter is one of Greece’s favourite fetes as it combines a few things that Greeks hold dear: faith, gastronomy and the outdoors! Easter is the first Spring feast of the year and represents a time of renewal, and a time filled with hope. It signifies new beginnings and bestows countless blessings to those pure of heart. Visiting Greece during the Easter period will no doubt introduce you to some interesting customs which will reinforce your holiday experience even more. Here we present the ...key Easter customs to experience in Greece, as well as a few regional customs that are worth becoming a part of, at least once in your life. As the Holy week arrives, households begin the Easter preparations that are essentially enjoyed after the stroke of midnight on Holy Saturday. Eggs are dyed red, symbolising the blood of Christ. Traditional Easter cookies or ‘koulourakia’, as well as the braided, sweet, fragrant milk break we call ‘tsoureki’ are kneaded and baked, filling the households with the season’s aromas that create anticipation for the festivities to be had at the end of the week. All those who are godparents must ensure that their godchildren have received their special resurrection candles called ‘lampades’ that are taken to church to carry to Holy Light back home. On Good Friday, traditionally the saddest day of the year, is the day of Christ’s crucifixion and is revered by decorating an epitaph with fresh flowers and worshiping it during the evening service, before it is taken on faithfuls’ shoulders and carried in procession around the church, in a mournful fashion. Holy Saturday dawns, bringing with it the hope, the promise of renewal. The Resurrection happens at midnight and the faithfuls gather around their local church for a second time. Following the “Christos Anesti” sermon, the church bells toll in a joyous rhythm while fireworks illuminate the night sky, people exchange wishes and spread the Holy Light. A special, resurrection dinner ensues serving the traditional ‘magiritsa’ soup, and the Easter egg game of ‘tsougrisma’ takes place between the people sitting next to each other. This small feast is a runner up to the greatest feast of all, on Easter Sunday 16th April, which includes eating and drinking without restrictions, as well as ample music and a lot of dancing! Honorary meat delicacies are the roasted lamb on a spit, and the kokoretsi of course! Santorini - The village of Pyrgos is lit with the light of thousands of flames, on Good Friday, lanterns are placed all around the perimeter of the village, making it stand out from afar, adding an additional element of magic to the evening. If you have never seen this it is highly recommended, or alternatively you can experience its post-Easter, vitalising aura by discovering Santorini on a two day tour from Athens. Mykonos - The white washed houses of the island are white washed afresh during Holy week, representing the highest form of cleansing. The households bake ‘lazarakia’ in addition to koulourakia, that are doll shaped cookies dedicated to Lazarus while on Easter Sunday the effigy of Judas is burned at a bonfire. In Corfu even the tsoureki is different; it is called ‘fogatsa’ in Corfu and the end result is not braided, it comes in a round baking pan so it has a distinctively different appearance. It is also much tastier, as it uses local, regional ingredients such as the famous Corfu butter, muscat wine and kumquat liqueur. Apart from this tasty difference, in Corfu the philharmonic orchestra accompanies the epitaph procession which happens on Holy Saturday, instead of on Good Friday, as with the rest of Greece. Spending Easter in Corfu will introduce you to another local custom, ‘Mpotides’, when at the first sound of the Resurrection on Holy Saturday, clay decanters filled with water are typically smashed from balconies onto the streets or ‘kantounia’. On the charming island of Hydra, on Good Friday a very special custom materialises: the procession of the Epitaph goes round the village of Kamini and then concludes ....in the sea! 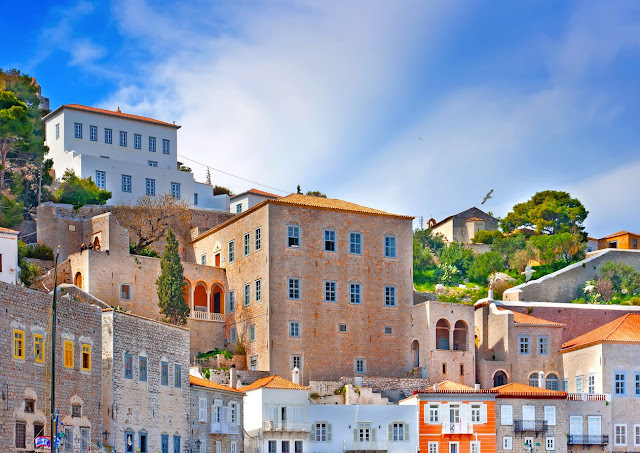 Don’t miss the chance to become part of this emotive custom in Hydra, and why not discover the neighbouring islands all in one go with the Poros Hydra and Aegina one day cruise from Athens ? Now, if you are planning on staying in Athens over the Easter break then don’t miss discovering ...key highlights of Athens on one of our Keytours! For example, the Athens excursion combines the ...key spots of Athens city, bridging the ancient aura with the modern day delights, under the ever imposing Acropolis. Find the ...key that fits for you and start your quest for knowledge today! From all of us at Keytours, Happy Easter & Καλό Πάσχα! Giaonhan247 chuyên order đặt mua vòng tay pandora, nước hoa pháp chính hãng cũng như giải đáp thuế khi mua hàng trên amazon như thế nào, mua hàng trên aliexpress có an toàn không cũng như phí vận chuyển hàng trung quốc giá rẻ như thế nào.